Every pop star experiences ups and downs in show business. For Donny Osmond, he experienced some of the worst elements of fame while he was at the peak of his young career. 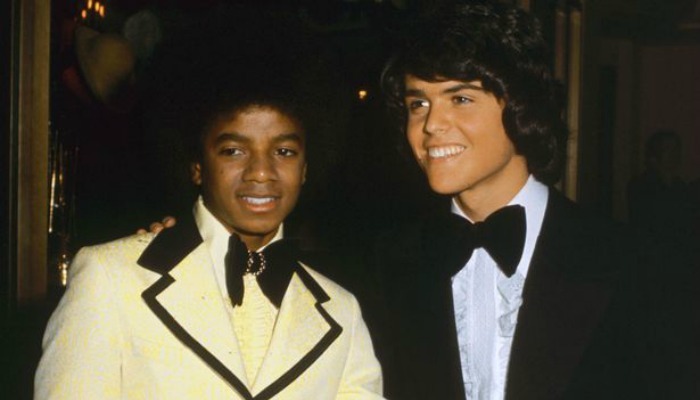 Donny Osmond and Michael Jackson, who both rose to fame as teenagers, (via mirror.co.uk). Originally rising to fame as the breakout star from The Osmonds, his family’s famous music group, Donny achieved his superstar status around the same time as Michael Jackson and Prince. Comparing him to the pop star lifestyle, the media mocked Donny for not drinking or smoking, sticking to his family name, and living a clean lifestyle. The Osmond family, including Wayne, Merrill, Jay, Jimmy, Donny, Marie and Alan (via mirror.co.uk). Osmond, who married his wife Debbie in 1978, was 20 years old when he decided to start his family. Instead of skyrocketing to more fame, his career calmed down in his twenties, partly due to his fans growing up. Mocked for his image and his clean pop music, many critics believed he was a one-hit wonder. However, Donny’s career was far from over. He has reached further success by performing a Vegas show with his sister Marie for almost eight years. Taking a break from the microphone to put on his dancing shoes, he competed in and won Dancing with the Stars in 2009 with partner Kym Johnson. Celebrating 50 years as a performer, he sings sold-out shows for The Soundtrack of My Life tour. For Donny, he finds that success doesn’t just occur in the music business. He also attributes his happiness to his health and family. Donny with his wife, Debbie (via mirror.co.uk). However, Donny considered Michael Jackson a good friend, and mourned the superstar’s death. About a year before Jackson’s death, Donny visited him at Neverland. Donny’s commitment to family, good health, and his moral code continue to keep him grounded and stable, rather than causing his downfall. No matter the hype and fame surrounding him, Donny hopes to remain a positive influence in the music industry. By staying true to his values, despite mocking and bullying, Donny realizes that success means more than positive reviews or general acceptance. “The things people mock keep me stable,” he said. Donny, who still loves performing, will continue his tour, The Soundtrack of My Life, through 2017. Thanks Donny! I love how Donny would teach Gospel Doctrine class at church before having to go into Chicago to play Joseph in the Amazing Technicolor Dreamcoat.